Hi everyone, welcome to english-learning.net. I hope you are well today. 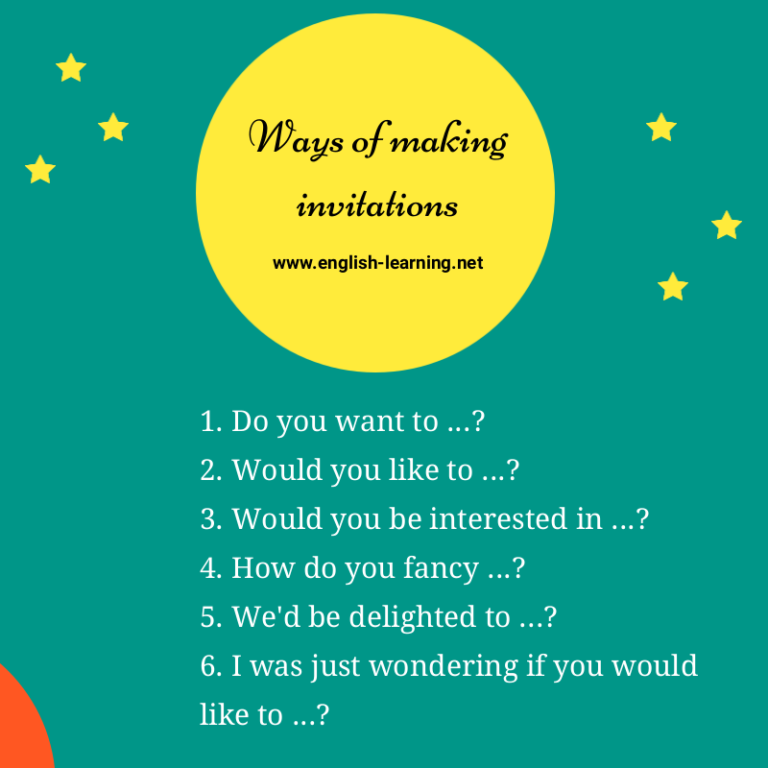 In this lesson, we’re going to learn different ways of making invitations. 1. Do you want to …? Jane, do you want to have a coffee with me? Hey buddy, do you want to come up for a tea? 2. Would you like to …? Hey Clark, would you like to visit the new museum with us? 3. How do you fancy …? Kris, how do you fancy going shopping tonight? How do you fancy coming over my birthday party this weekend? 4. Would you be interested in …? Ms. Watson, would you be interested in attending the workshop tomorrow. Mr. Hanson, would you be interested in getting around our new office? 5. I was just wondering if you would like to …? I was just wondering if you would like to visit our new factory in France. I was just wondering if you would like to be a judge in our beauty contest. 6. We’d be delighted to …? We would be delighted to have you over our wedding anniversary. I would be delighted to have you amongst us on this special day.